Save Money!!! Same as the above kit , except the carburetor is a Chinese Weber like reproduction. Best balance between power and economy for 20R, 21R and 22R car and truck engines. New Lower Price!!! Big power down draft carburetor kit for all 20R, 21R and 22R car and truck engines. Comes with a Weber 38 DGES carburetor, breather assembly with K & N washable (reusable) filter element and adapter plate with hardware. This Kit comes with two Weber 40 DCOE carburetors, intake manifold and linkage parts. New Lower Price!! !Get maximum power from bigger twin carburetors for your 20R, 21R car or truck engines. This Kit comes with two Weber 45 DCOE carburetors, intake manifold and linkage parts. New Lower Price!!! 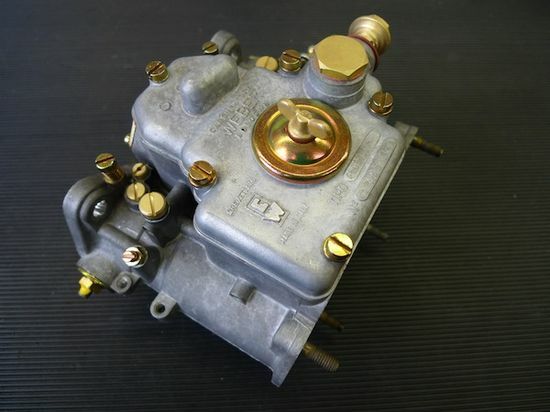 Get more power from twin carburetors for your 22R car or truck engines. New Lower Price!!! 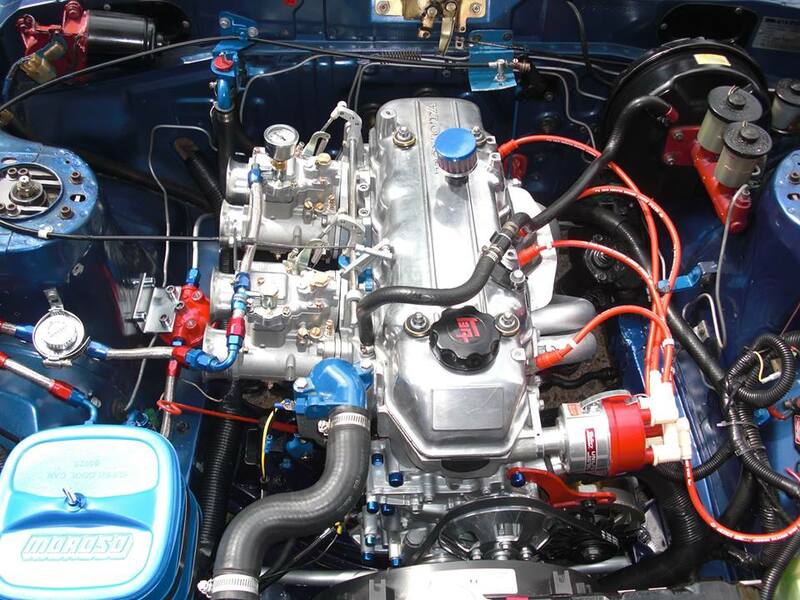 Get maximum power from bigger twin carburetors for your 22R car or truck engines. Get maximum power from bigger twin carburetors for your 22R car or truck engines. This Kit comes with two ECONO 45 DCOE carburetors, intake manifold and linkage parts. 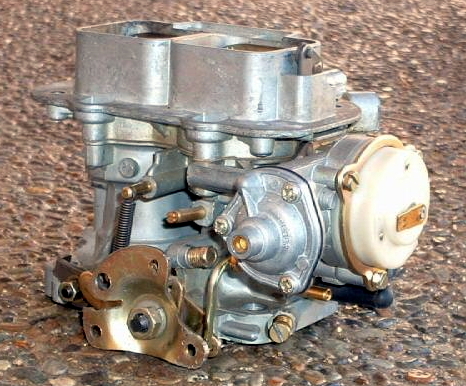 Click Here For Additional Carburetor Options and Accessories. Air Horns, Breathers, Linkage Parts and More! 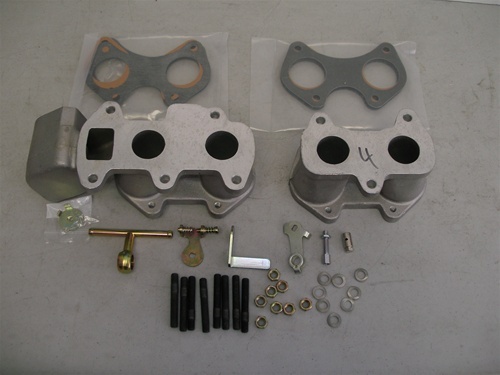 20R, 21R Engine, Intake Manifold and Linkage Kit $450.00 For Weber DCOE twin side draft carburetors (Also will fit Mikuni PHH, Dellorto, Solex and other aftermarket side draft carburetors too). 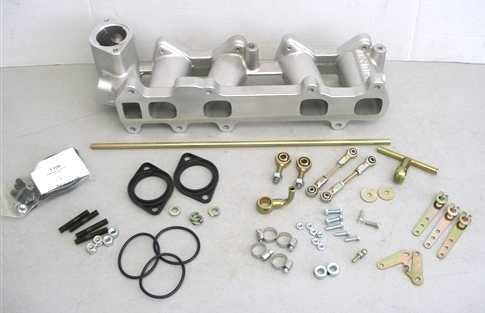 Manifold and Linkage kits come with complete linkage and carb soft mount, no cable included. For Weber DCOE twin side draft carburetors (Also will fit Mikuni PHH, Dellorto, Solex and other aftermarket side draft carburetors too). Custom Made Performance Camshaft Service. 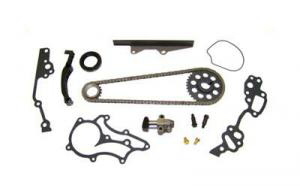 OEM Camshaft For 20R, 21R, 22R, 22RE, 22RE-C, and 22RE-T Engine . These cams are a nice improvement compared to stock specs which are:193’ duration .393 lift. Please Note: I highly recommend new rocker arms (cam followers) be install with all new cams to prevent premature wear and get the best life out of your cam. For 20R, 21R, 22R and 22RE, 22RE-T and 22RE-C. The LOW END TORQUE this camshaft produces creates better throttle response, and helps the large tires get turning. It is computer friendly and works great with the late model fuel injection systems. No other changes need to be made, just camshaft. The specs are 210’ duration @ .050 .420 lift. improves rpm range 1200-4500 during the crucial torque area, picking up speed and going up hills. Great for rock crawling and towing. No problems passing emissions with this cam. For 20R, 21R, 22R and 22RE, 22RE-T and 22RE-C This is a new regrind, It it is legal in "stock lift" racing classes. The duration is what gives you the huge advantage over the stock camshaft. The specs are 220’ duration @ .050 .410 lift. Rpm range 1500-4800 during the crucial torque area. No new springs needed, we recommend new rocker arm when installed and your good to go. No problems with passing emissions or idle, this is about as good as it gets when it comes to performance and still being able to pass. This cam is the best you can get for the stock 22RE fuel injection. Any bigger a cam and the sensors for the stock EFI will make the motor run poorly. The only way to go to a larger cam is to have an aftermarket programmable (tunable) electronic fuel injection unit installed. For 20R, 21R and 22R. It has been proven over the years and no camshaft company has been able to improve on the MID-UPPER END POWER that this camshaft produces. I recommend installing new after market valve springs with this cam. It creates snappy mid-range response, and helps the 4 cyl. engine to really come alive. Specs are: 1800-5000 effective r.p.m. range, 226 Duration@.50, .433 lift The camshafts are the best increase in H.P. for the money!! No head work has to be done just camshaft and valve springs and you are off and street racing. Cam No. 801-292 $168.00 plus core charge $65.00 For 20R, 21R and 22R. This is a slightly hotter cam than No.801-282 , effective rpm range is 2200-5500 232 duration @.50 .437 lift Would be a good cam for Road race / Rally. I recommend double valve spring for this cam. For 20R, 21R and 22R This cam has been proven over the years and no camshaft company has been able to improve on the UPPER END POWER that this camshaft produces. THIS RACE PROFILE IS THE BEST FOR ¼ MILE TRACKS !!! I recommend double valve springs, It creates snappy upper end power, and helps the 4 cyl. Engine to really come alive. The camshafts are the best increase in H.P. for the money!! No head work has to be done just camshaft and valve springs and you are off and street racing. The specs are 250’ duration @ .050 .475 lift. Rpm range 2800- 7600 This profile is excellent due to the large duration and not huge lift specs so you can spin the engine harder. Note: Unlike clothes “ONE SIZE FITS ALL” doesn't apply when choosing a camshaft, you must think about the what kind of driving you do with your vehicle. Race, drag, street, cruse, towing etc. What r.p.m. range you would like the motor's peak power to come on at. There are many variables, and that's why I supply so many choices in camshafts not just one! You can just install the cam only and run the motor with all the OEM parts. But we at Toyhead Auto.com highly recommend to also install new rocker arms and springs to get the best performance and life out of the cam. Especially if the motor has high mileage. 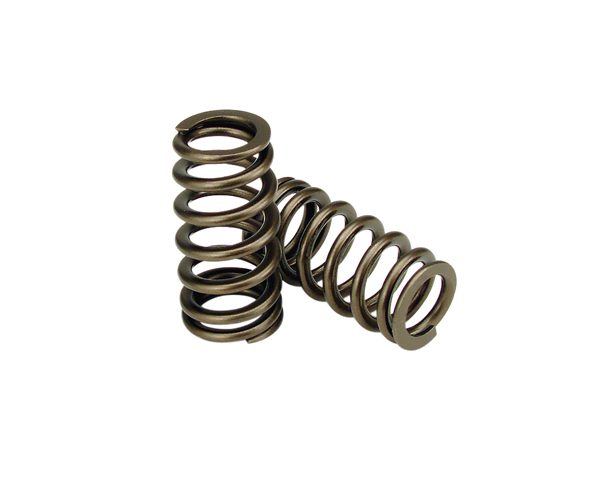 Valve springs get weak over time and do not keep the valve closed properly at higher RPMs. This causes the engine's peak rpm power to occur at a lower and lower rpm as the valve springs get weaker. Thus power is being lost. This loss of power condition at high RPM due to valves not staying closed properly is known as "valve float". When setting the valve lash the engine must be hot or at least warm in order to be accurate. Factory valve lash setting for 20R, 21R, 22R and 22RE is .008 intake. and .012 exhaust. You can also run the lash as small as .006 and .008 ex. with no problems. open the valve a little sooner and close it a little later with the tighter setting. If you are running domed racing pistons of 10 to 1 or higher always check the valve to piston clearance. This can be done by placing a piece of clay on top of the piston and turning the motor over by hand with the head bolted on to spec. Then removing the head to measure the impression in the clay to see how close the valve comes to the piston. There should be a valve to piston clearance minimum of at least .100 inch. No.801-HPSP 20R, 21R, 22R, 22RE motors, High Performance Dual Valve Springs $84.76 set. Note: All spring kits above are for use with stock retainers and keepers. Prevent engine damage due to valve float or worn and weak springs. For high RPM applications, these dual valve springs offer improved control and reliability and are made from special silicone spring steel. Our Dual Valve Springs will control your valves up to 8,500 RPM, with .550" of valve lift. *High Performance over sized valves require valve seat work and can be installed by Toyhead Auto Restorations Services. 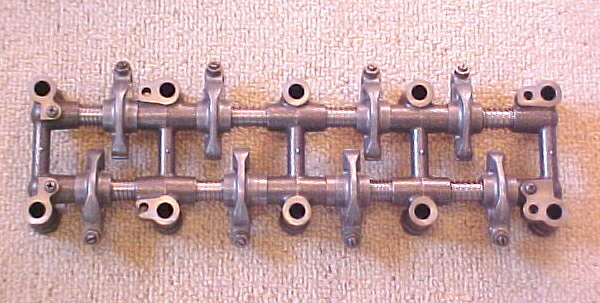 Aluminum Rocker Arm (Toyota, OEM) For *20R, 21R, 22R, 22RE, 22RE-T Engines. $20.04 each. Rocker Arm Shafts (OEM type) for 20R, 21R, 22R and 22RE and 22RE-C.(the two shafts that the rocker arms operate on) $214.67 pair. High Performance Rocker Arm Shafts for 20R, 21R, 22R and 22RE and 22RE-C. Special!!! 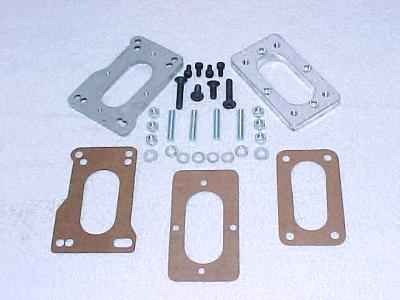 Entire Aluminum Rocker Assembly, for 22R, 22RE, 22RE-T Engines. Remanufactured. come with rocker shafts and all * $129.00 Plus $65.00 core charge. Please note: A $65.00 core charge must be added to the price above and is refundable in exchange for your old 22R, 22RE rocker assembly. 20R rocker assemblies (with cast iron rocker arms) will not be accepted as a core credit on this item. 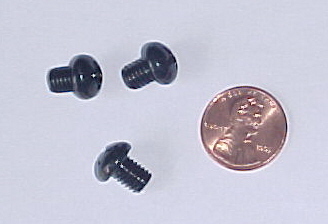 Heavy Duty (hardened) Rocker Assembly Screws, For 20R, 21R, 22R 22RE. these are the screws that hold the rocker arm assembly together. There are 3 per assembly. $5.50 for set. NEW!!! Cylinder Head Gasket, Standard High Quality Replacement. High Performance Metal Head Gasket. 20R, 21R, 22R, 22RE. high shear forces that occur between an aluminum head and iron block. 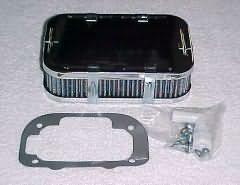 Includes: Valve cover gasket and hold down nut seals. The best value in forged pistons today. These American made pistons are forged and machined by skilled craftsmen with state-of-the-art forging presses and CNC machines. 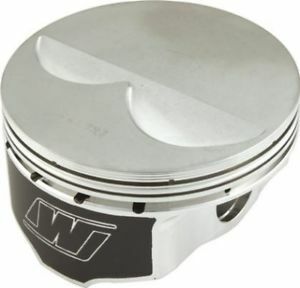 By using dedicated forgings specific to the final piston shape, pistons are stronger and lighter than industry standards. Piston sets include plasma moly 1/16, 1/16, 3/16 pre-gapped ring packages which provide excellent seal, friction reduction, and long life. Light weight connecting rods make power, with added strength for higher RPM operation. The best way to contact us is by email!!! We accept all major Credit Card payments through PAY PAL.com ONLY (owned by Ebay). Pay Pal now accepts many Currencies from around the world. We do business by email!!! Through Pay Pal we can receive payments in 23 currencies.